When is the best time to visit Hawaii? Julie and I have been to Hawaii at least eight times spread out between the Winter and Summer months while encompassing all of the major islands of Oahu, Maui and Molokai, Kauai, and the Big Island. 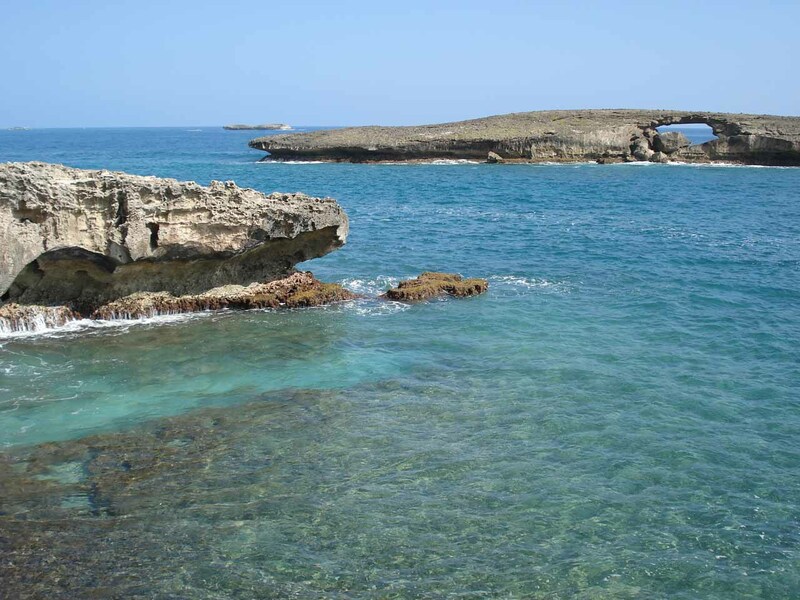 So we feel that we have a pretty good feel for how the climate and the weather are like, and that we could compose a page like this to try to convey some of this anecdotal knowledge to help you prepare for your visit. 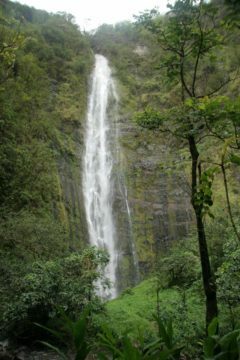 Although we generally discuss the timing of a visit to the islands with a waterfalling bias (that is, we try to tell you when is the best time to see waterfalls), we’ll be a bit more comprehensive with this write-up since we recognize that most people come to Hawaii on vacation. 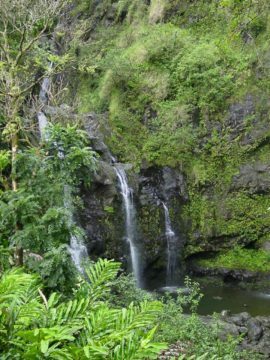 Moreover, as you’ll see later in the write-up, the question of when to visit Hawaii is incomplete as it also matters where in Hawaii you’re going to go as well thanks to its region-specific microclimates. 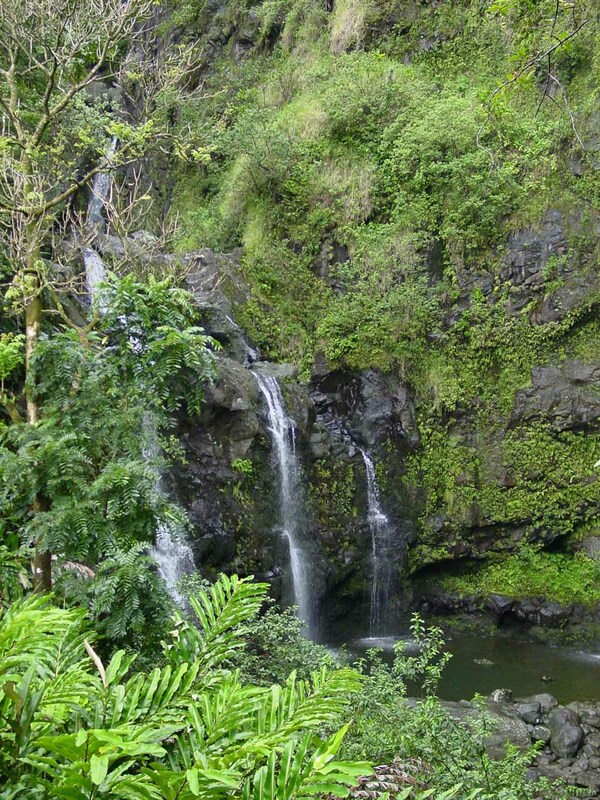 Generally speaking, Hawaii experiences a subtropical climate. The subtropical (as opposed to tropical) monicker might have been earned because the state’s temperature and humidity may be somewhat less intense than say a full-bown tropical climate like the Amazon basin in South America, most of the South Pacific Islands, or the Top End of Australia. Yet, its seasons can still be categorized in terms of a Wet Season and Dry Season (though such seasons may be more pronounced in truly tropical climates). 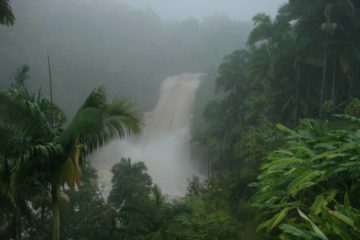 The Wet Season is said to be from October through April. The Dry Season is said to be from May through September. 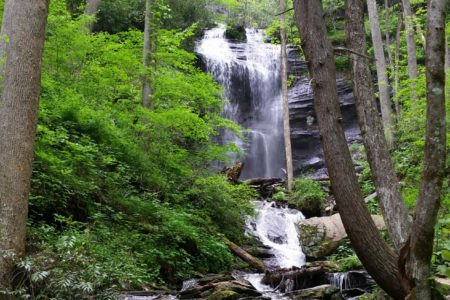 Even though these seasons suggest one part of the year tends to get more rain than the other, it doesn’t necessarily mean that the Dry Season can’t get rain while the Wet Season can’t be dry either. Plus, it can rain at any time of the year, but tropical rains tends to come and go within a short period of time so it’s unrealistic to expect any trip to be completely rain free. It’s just that based on historical averages, it gives the statistics to suggest one part of the year is wetter than a different part of the year. Case in point, we managed to go through a couple of very wet days in Maui (especially its eastern side) in a September 2003 trip after a hurricane to the south of us broke up and its remnants managed to drift north and drench the area. 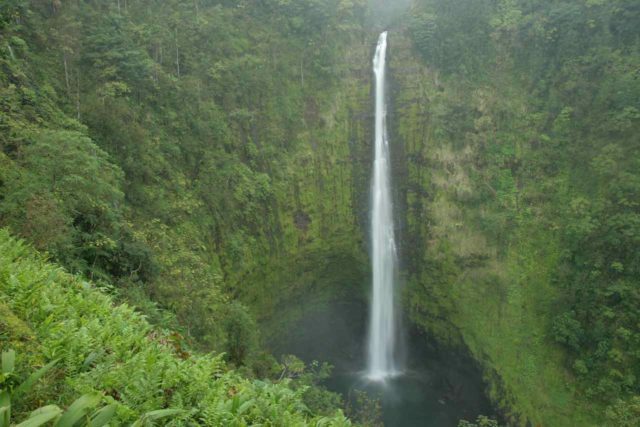 We also happened to go on a trip to Kauai in December 2005 and didn’t experience rain the entire week we were there. 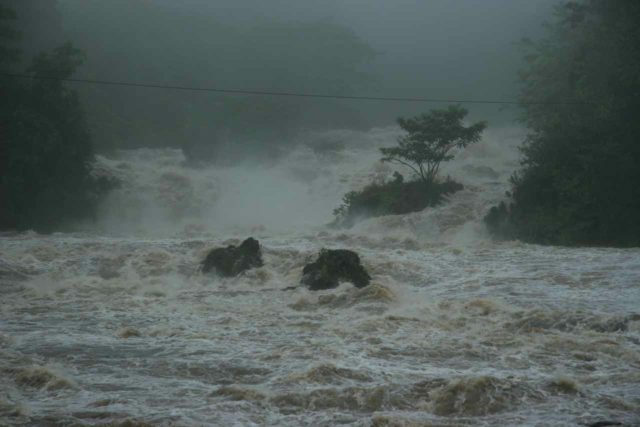 Then, we were also socked in from torrential rains in Hilo on the Big Island on the Super Bowl weekend in February 2008, when the dramatic picture shown above in this article was taken. To rationalize out these patterns, the Wet Season tends to be wet because it can get the standard Winter Storms that tend to go from west to east (the very storm systems that eventually make their way to the Western United States and affects us). Nonetheless, as you’ll see in the next section about the trade winds, this isn’t the whole story of rain, but it certainly helps to bias the statistical precipitation totals towards the Winter months. 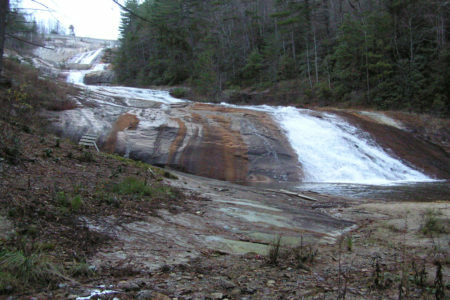 In terms of visiting waterfalls, this would be the season to see them. 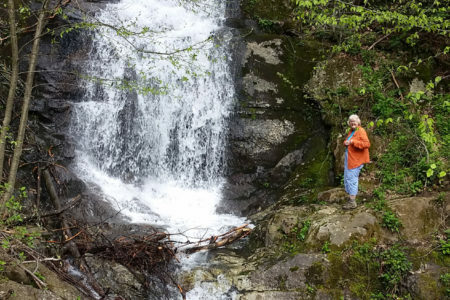 This is especially the case for those waterfalls that would struggle to flow for the rest of the year (especially, if it has been tapped for irrigation or hydroelectricity). 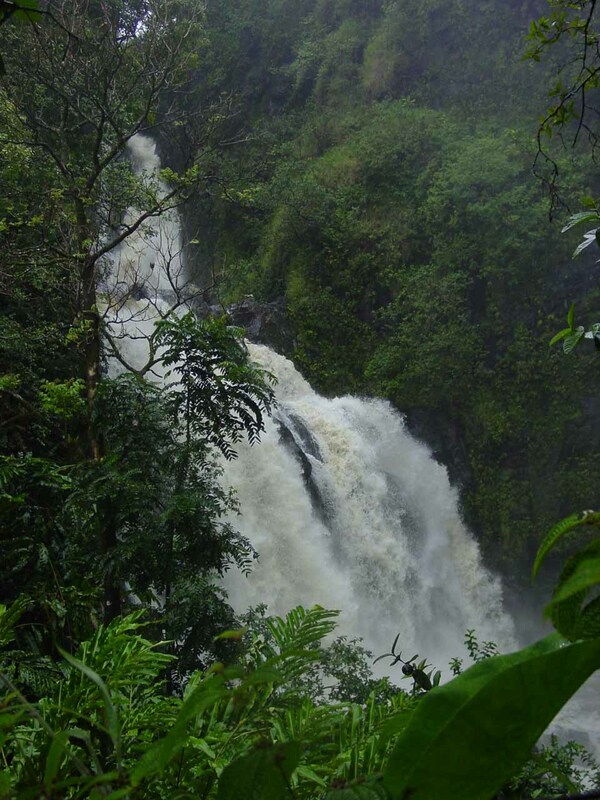 To give you an idea of the seasonal differences, the pair of photos above shows Waimoku Falls in Maui taken in the Wet Season in February versus the Dry Season in September. To give you an idea of how man-made interventions can affect the waterflow in as few as a couple of days, the photos below shows what happens to Waikani Falls (the Three Bears Falls) during a rainy day then two dry days afterwards. Waikani Falls (as well as the majority of waterfalls in East Maui) were adversely affected by irrigation ditches robbing waterfalls further downstream closer to the Road to Hana. Of course, at any time of the year (though especially in the Wet Season), we had to be cognizant of the real danger of flash floods. Even though it might not be raining downslope where most of the roads, civilization, and access to waterfalls are, further upslope, it could be raining hard thereby sending its storm surges down the drainages and catching unsuspecting people still in the watercourses. In the Dry Season, the Winter storms may not be present, but there can be the threat of hurricanes. During a helicopter flight in our visit to Kauai in 2005, we managed to see the extent of the damage to the southwestern side of the island from Hurricane Iniki, which happened in September 1992. Moreover as mentioned earlier, we were indirectly affected by a hurricane on our first trip to Maui in September 2003. So given all that, the bottom the line is that the Wet Season tends to be wetter and the Dry Season tends to be drier though there can certainly be exceptions or weather that runs contrary to the season’s nomenclature at any time of the year. Earlier, we said that Hawaii’s climate was technically “subtropical” as opposed to “tropical”. 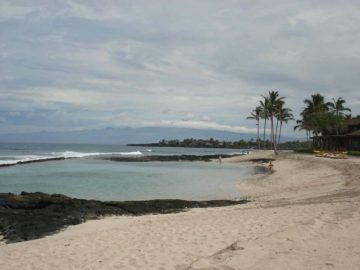 We also said where in Hawaii you’re visiting or staying is every bit as important as when you’re in the islands. The main factor for these climatic quirks of the Hawaiian Islands are the northeastern winds known as the trade winds. Not only do these winds tend to moderate the heat and humidity we tend to associate with more “truly” tropical climates (i.e. steamier, muggier conditions), they also tend to bring rain (rather consistently) to the northeastern and eastern sides of all of the Hawaiian Islands. The trades seem to be a consistent feature of the islands for the majority of the year. When you combine the trade winds with the fact that each island is composed of a mountainous (mostly volcanic) interior, you end up with a pattern where the northeastern and eastern sides (also known as the windward side) get the majority of the precipitation, while the western and southwestern sides (also known as the leeward side) get the majority of the sun. Even though the windward side had torrential rains and flooding, at the same time, the leeward side only had mildly overcast skies with some sun peeking in there from time to time! 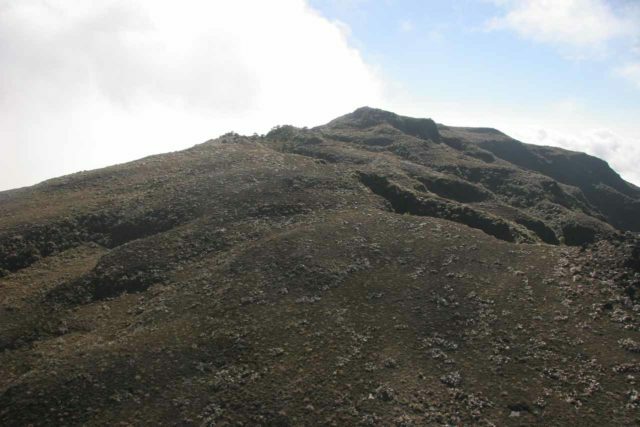 The leeward side tends to be drier because it sits in the rain shadow of the mountainous interior of each island as the rains brought from the trades tend not to make it past the mountains. The leeward side is where most of the tourism and resorts are. 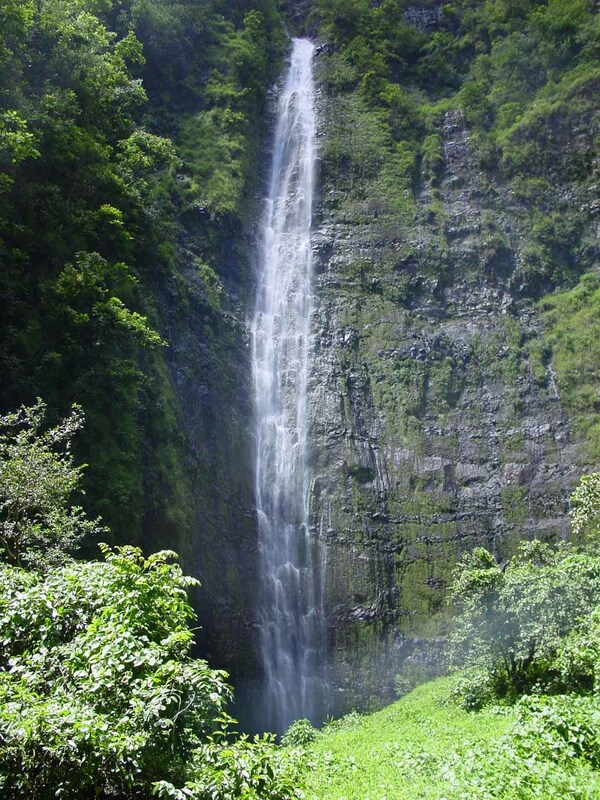 However, the windward side is where most of its waterfalls are located. 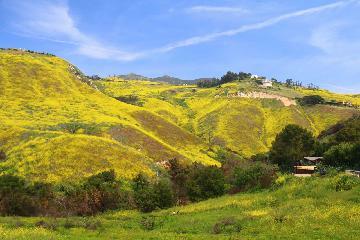 It’s also where the state is most wild. To further illustrate the geography of the windward and leeward sides of the Hawaiian Islands, have a look at our Hawaii map. Note how the waterfall waypoints tend to be concentrated almost exclusively on the northeastern and eastern sides (i.e. the windward side). To further illustrate the moderating effects of the trades on temperature and humidity, I distinctly remembered one evening in Hana, Maui where Julie and I had a dinner outdoors and we actually needed to wear a light jacket because we were getting cold! The winds were blowing and it didn’t feel humid at all! Of course if the trades aren’t blowing, or we happened to be in a region sheltered from them, that was where the microclimate was the most sticky (and also the most prone to mosquitoes). Think of it like the yin and yang. You need to have one to offset the other and vice versa. It’s all part of Nature’s checks and balances. So in the end, the variations in the climate of the Hawaiian Islands come down to a combination of the seasons and the location. It’s kind of crazy, but thanks to the climatic quirkiness of Hawaii, you can literally go seek out sun simply by heading west, or you can go seek out rain simply by heading east. In our experiences, these patterns almost seemed like clockwork, and in a way, it gave us a little more control over the kind of experiences we could have simply by moving around whichever island we were on. Sure the weather adds a little unpredictability to these patterns (e.g. we managed to experience the rareness of flying to a cloud-free Waialeale summit on Kauai or sneak a peek of the top of Mauna Kea from the windward Hamakua Coast of the Big Island), but all these things taken together helped to shape the rhythms of the islands.